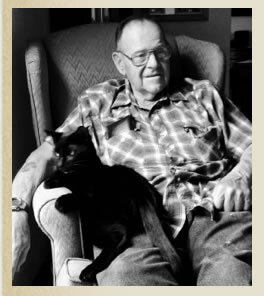 Carl Morris Emmert passed away on March 30, 2015. He was 83. He was born near Molalla on October 31, 1931 , to Albert and Cora Schlabach Emmert. His family moved to the farm in 1933, where he still resided. During his lifetime, Ca rl was a logger, dairy fanner and truck driver. On Oct. 4, 1951, he married Irene Helvey. They had five children: Dianne (Mike), Vickie (Wayne), Susan (Errol), Mike (Tammy), and James (Korina). He enjoyed coffee with friends and weekly trips to the Woodburn Auction. Carl was a member of Zion Mennonite Church. Carl was preceded in death by three sisters. He is survived by his wife, five children, 14 grandchildren, seven great-gr.mdchildren and a sister, Marilyn Bond. 11, 2015 at Foothills Church in Molalla. Carl M. Emmert, 83, passed away on March 30, 2015. Visitation will be held at the Molalla Funeral Chapel on Friday, April 3rd from 2 pm to 4 pm and again on Saturday, April 4th from 9 am to 10 am. A Celebration of Life will be held at the Foothills Community Church on Saturday, April 11, 2015 at 11 am.